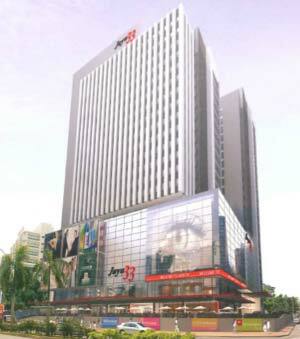 The Jaya 33 development is a combination of retail spaces and office towers. Located within a total of 4 acres of land, Towers 1, 2 and 3 which have been in operation for a few years now, will now include Towers 4 & 5 which will be completed in December 2012. The 2 new office towers are certified Green Building and MSC status. The adjoining retail podium offers amenities such as a supermarket- Jaya grocer, fitness and wellness, restaurants and banking halls. Jaya 33 is located in Section 13 and is accessible through Jalan Semangat and Jalan Kemajuan. Transportation such as LRT(Asia Jaya), buses and taxis are all within the vicinity.